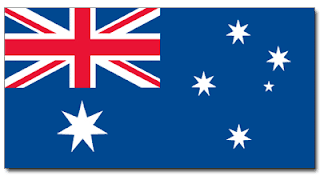 The High Court of Australia has upheld a trial court ruling that two teenage boys, now aged 17 and 15, who moved from Sydney to New York with their father, should be returned to Australia, even though they clearly wish to remain in New York. Bondelmonte v Bondelmonte,  HCA 8. The parents separated in 2010. The boys then lived in Sydney with the father while their younger sister lived with the mother. In 2014, parenting orders were made, which ordered equal shared parental responsibility for the children and authorized either parent to take the children on an overseas holiday subject to certain conditions being met. In 2015, further orders were made requiring the children to engage in a “Child Responsive Program” and the parents to be interviewed by a family consultant. In January 2016, the two boys flew to New York with the father for a vacation. After two weeks, the father informed the mother that he had decided to live indefinitely in the United States and that the boys would remain with him. The mother filed an application under Australia’s Family Law Act 1975 to secure the boys' return. That statute requires the court to have regard to "the best interests of the child as the paramount consideration." In determining what is in the child's best interests, it provides that a primary consideration is "the benefit to the child of having a meaningful relationship with both of the child's parents," while an "[a]dditional considerations" includes "any views expressed by the child and any factors ... that the court thinks are relevant to the weight it should give to the child's views." The trial court ordered the return of the boys to Australia, since the "best interests" of the children involved consideration of the children's relationships with their parents and each other, which were matters best dealt with in Australia via the mechanism established by the 2015 orders. The trial judge accepted evidence that the boys wished to remain living with the father in New York, but considered the weight of those views to be "weakened by the circumstances which have been contrived by the father." He also ordered that, if the father did not return to Australia and the boys did not wish to live with the mother, they could live either in supervised accommodation or separately with the mothers of other children. On appeal, the father asserted that the trial court was required to look past the father's behavior in order to determine the actual opinions of the older teenage boys and what was in their best interests. On appeal, the High Court rejected the father's contention that the trial judge had erred in discounting the boys' expressed preferences to remain in New York because he had formed an adverse view of the father's actions. The Court held that the extent to which the boys' views had been influenced by the father was relevant to the weight to be given to those views. The High Court also rejected the argument that the trial judge was required to ascertain the boys' views as to the alternative living arrangements. It held that the Family Law Act merely required that the views which have been "expressed" by children should be considered, but that ascertaining the boys' views was not statutorily mandated. Moreover, since the statute permits parenting orders to be made in favor of a parent of a child "or some other person," the orders for the alternative living arrangements could be made in favor of the mothers of the boys' respective friends. Note: The author represents the father in connection with matters in New York, where the father and the boys reside. However, this summary is based solely on the language in the High Court’s judgment.